Flagstone patio with Hot tub. 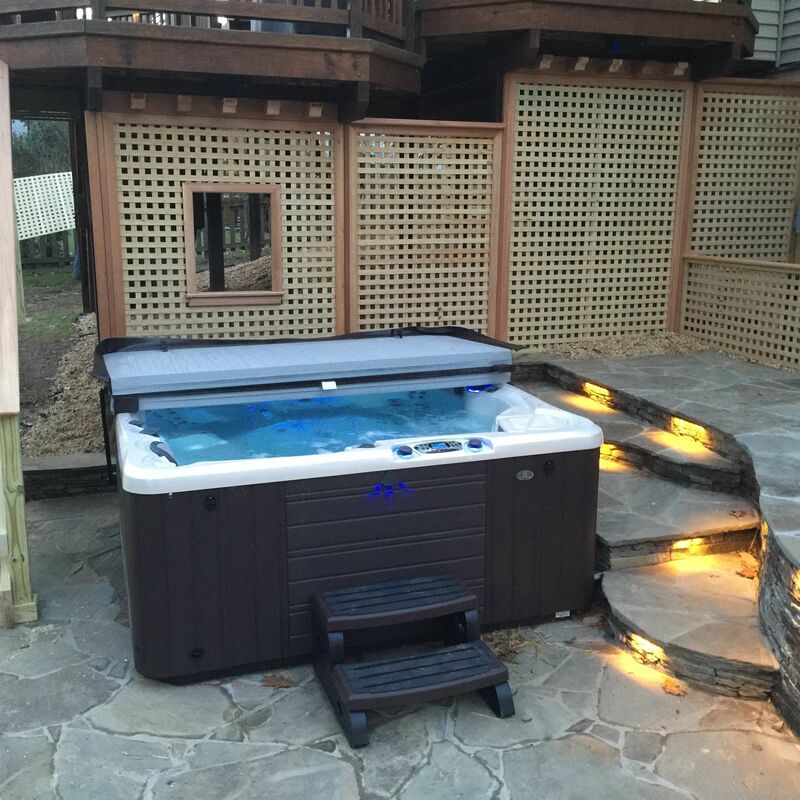 Other Pictures In Flagstone patio with Hot tub. Irregular shaped Flagstone Patio with Fire pit and low voltage lights.